When Staff Sgt. Allaina Guitron volunteered for recruiting duty little did she know how her title of “Ms. Veteran America” would be a perfect fit to showcase her Army story. 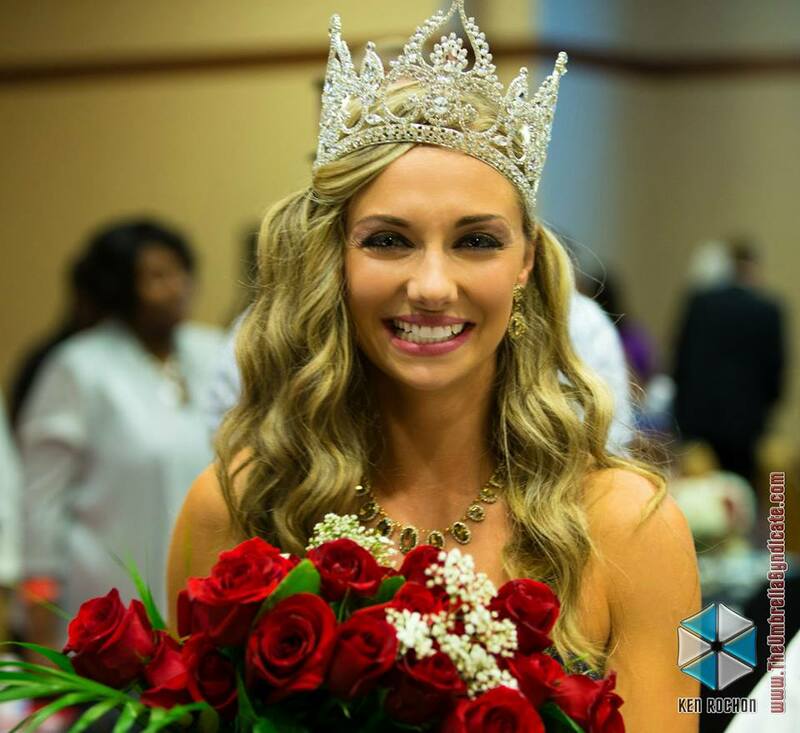 When a close friend approached the Montgomery Recruiting Battalion NCO about the competition, she thought it was a typical pageant. Then she found out the charitable beneficiary of the Ms. Veteran America competition is Final Salute Inc., an organization that provides homeless women veterans safe and affordable housing. For this 13-year veteran, the platform was personal. Guitron’s mother dealt with homelessness most of her life, and Guitron grew up in foster homes. In 2000, her life changed when she enlisted in the Army. “I knew the Army would be challenging and would provide opportunities for me to better myself,” she said. Guitron entered the competition when she was in the 55th Signal Co. at Fort Meade, Md. Her yearlong stint as “Ms. 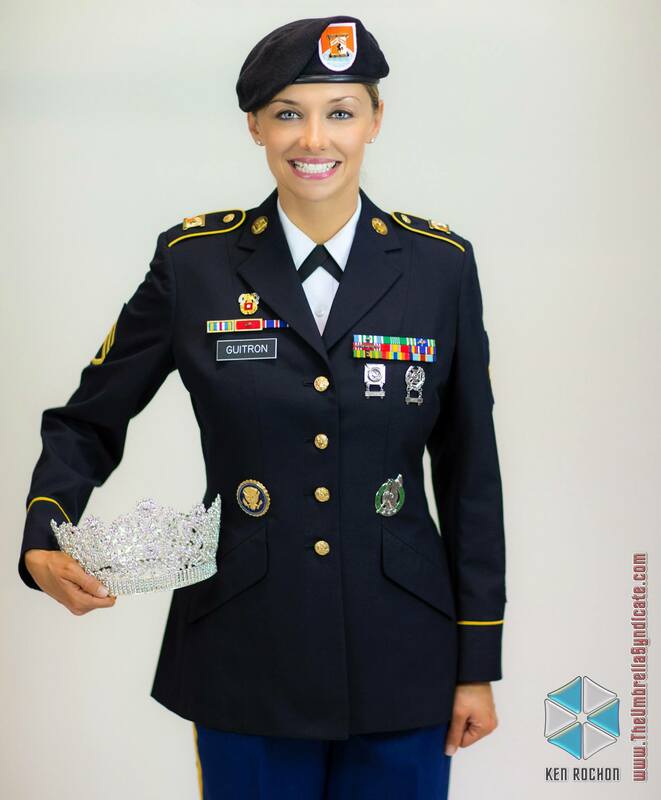 Veteran America” started when she arrived to recruiting duty in Crestview, Fla., in October 2013. Yates said Guitron lives the Army Values in her military and personal life. “She successfully led and took care of Soldiers as a noncommissioned officer in the Army’s most deployed Signal Company, supported her Soldier-husband during his deployment, transitioned to Recruiting Command and provided for her extended family,” he said. The extended family that Yates referred to was Guitron’s brother, Christian, who she was sole provider for from 2005 until she reported to recruiting duty. When invited to speak as “Ms. Veteran America,” Guitron includes her personal biography about her job as a recruiter. She also mentors a few teens and young women. Crestview Center Commander Sgt. 1st Class John Carroll said Guitron is one of the most dedicated Soldiers with whom he has worked. In Guitron’s community, she is involved with Fisher House at Eglin Air Force Base. Because of her personal story, she also speaks with local mayors, veteran’s organizations and Chambers of Commerce to bring light to the homeless women veterans’ issue. Guitron takes to heart the Army Values and applies them to every aspect of her life. This perfect fit is the reason she volunteered for recruiting. “I wanted to share my life experiences with people,” she said. "Ms. Veteran America" Staff Sgt. Allaina Guitron upon winning the competition. Her 12-month reign runs through October. Staff Sgt. Allaina Guitron and Future Soldier Andrew Williams look at the delayed entry program of Future Soldiers who enlisted out of Crestview Recruiting Center. Staff Sgt. Allaina Guitron uses her title of "Ms. Veteran America" to tell her Army story.